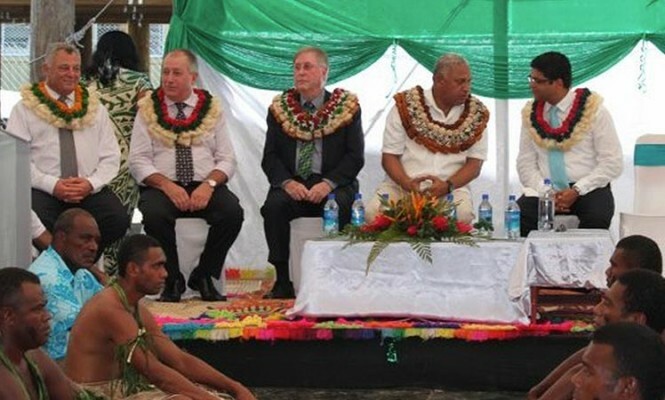 Higgins Fiji is contracted to the Fijian government to provide road maintenance in the Western Division of Fiji for four years; a contract that commenced in January 2013. The ceremony involved formal introductions, ceremonial offerings, Fijian dancing, a kava ceremony and a formal cutting of the ribbon. The new office provides staff with a significantly improved facility. The official opening on the 12 June 2013 was attended by all 151 Higgins staff. The ceremony was also attended by Higgins Chairman Sir Patrick Higgins, Managing Director Bernard Higgins and Higgins CEO David Geor.